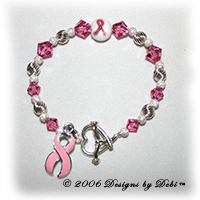 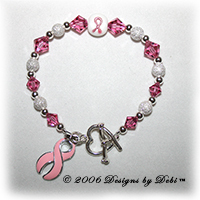 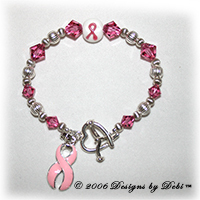 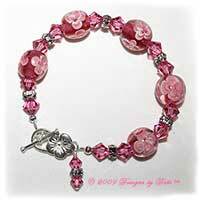 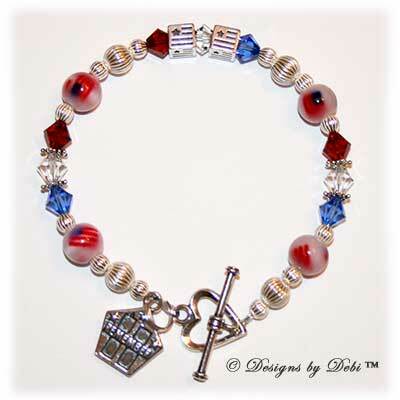 Designs by Debi offers bracelets in various styles and offers numerous specialty bracelets as well. 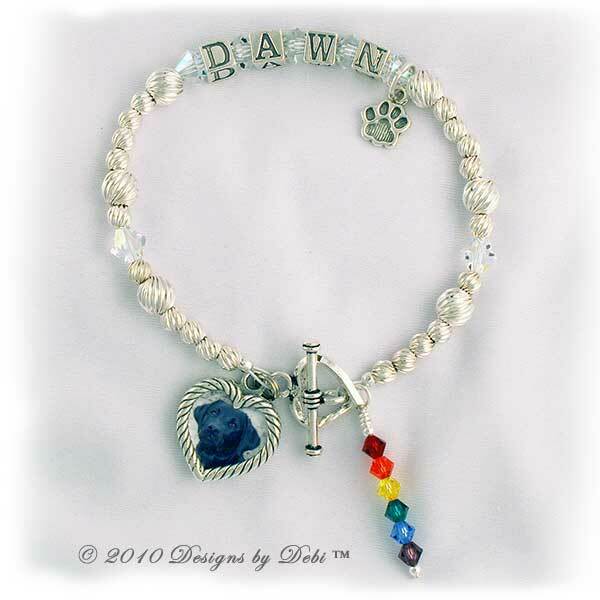 Wire-Strung Bracelets are bracelets strung on 49 strand nylon-coated stainless steel flexible beading wire; either the basic silver or another color. 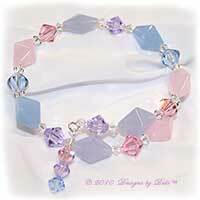 Some of the available colors I use are silver plated, gold plated, white, pearl, pink, lavender, purple and green. 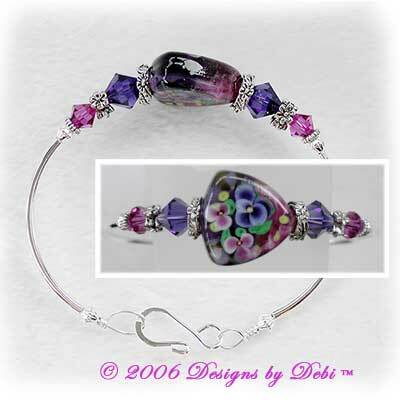 Designs by Debi Bangle Bracelets fit just like true bangle-style bracelets, with the same fluid motion. 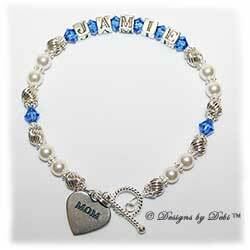 The only difference is that they have a clasp. 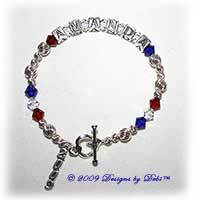 These are currently only available in silver-plated and gold-plated styles. 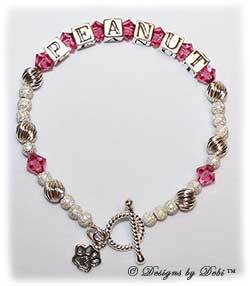 Fitted Bangle Bracelets are a more fitted, oval-shaped bracelet with a hook-style clasp made specifically for those who desire a more fitted bracelet that does not rotate around the wrist. 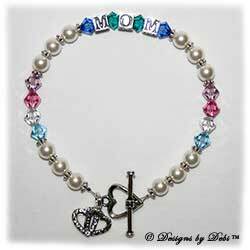 These are made with wire and curved tube beads and come in sterling silver, gold-filled, silver-plated and gold-plated. 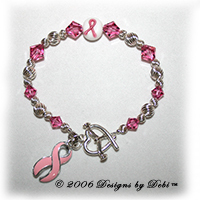 Designs by Debi Tennis Bracelets are true bangle-style bracelets made with Swarovski® Crystals. 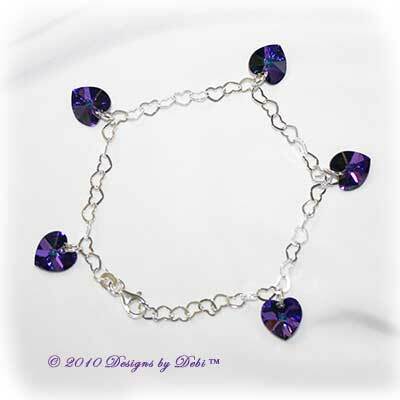 The sparkling effect of these bracelets is extraordinary because, unlike typical tennis bracelets, the crystals have no metal settings obstructing their ability to shine. 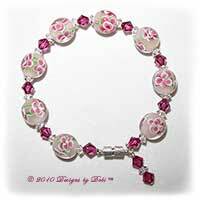 The only metal showing on the bracelet is the clasp which is usually a strong but small magnetic clasp. 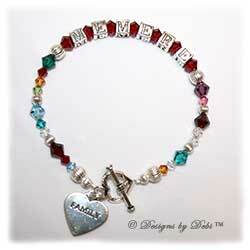 Charm Bracelets are chain bracelets with charms hanging at intervals along their length. 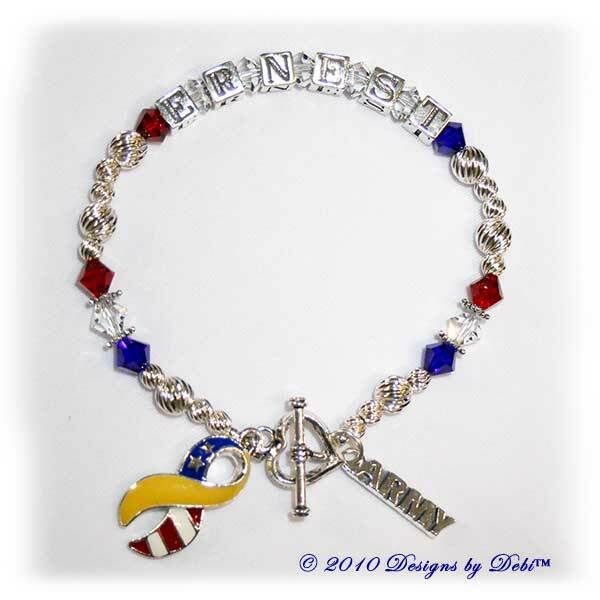 Memory Wire Wrap Bracelets are made with either silver-plated or gold-plated stainless steel memory wire. 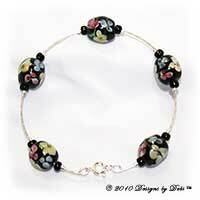 Because of the ability of the wire to maintain its round shape once it's coiled at the manufacturer, there is no need for a clasp on a bracelet with overlapped coils. 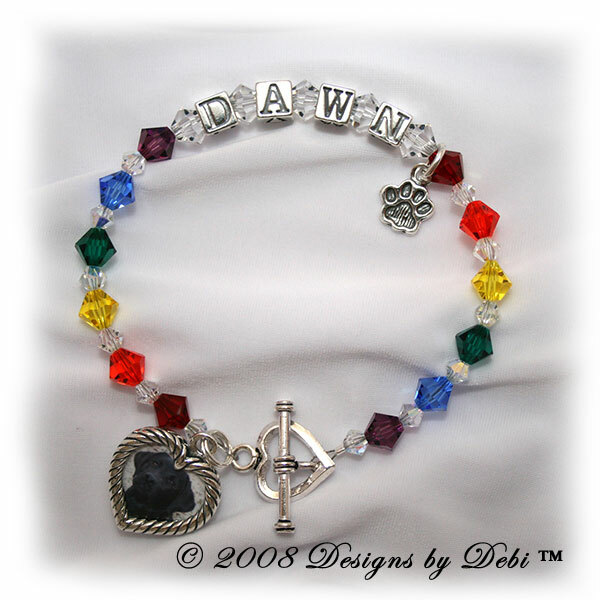 Memory Wire Clasp Bracelets are made with the same material as the Memory Wire Wrap Bracelets except the have a clasp instead of overlapped coils. 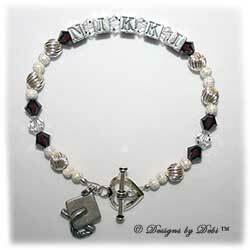 Any of the above styles can be made in or converted to a Magnetic Clasp Bracelet. 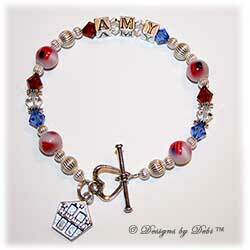 You will also find a variety of specialty bracelets (with more to come). 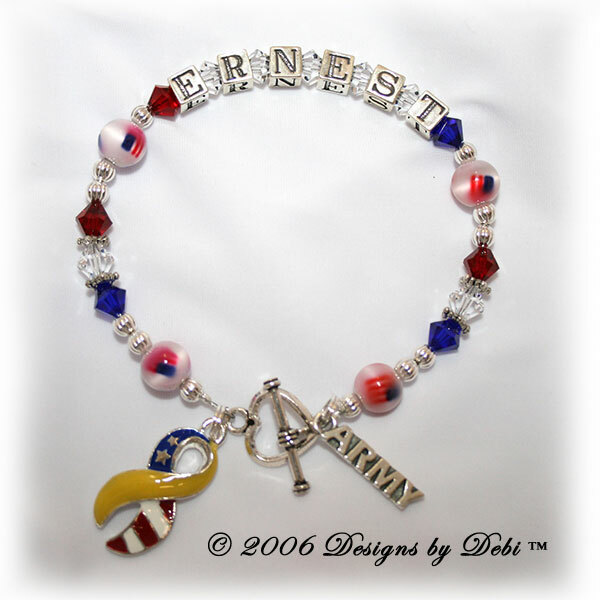 These bracelets are all wire-strung style bracelets made with 49 strand nylon-coated stainless steel flexible beading wire.